Receive multiple offers from several verified hard & private money lenders in minutes. If you need funding for any type of real estate investment, we have you covered. Long or short term financing. Purchase, refinance, rehab, bridge, construction, multi family, apartment commercial loan, free proof of funds, loans for rental properties, development, and everything in between can be obtained by clicking below. Save money on your money. Have hard money companies, private lenders, crowdfunding platforms and more compete to bring you the best rate and terms. 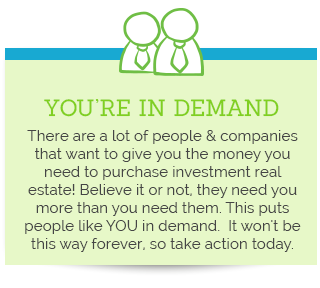 It is easier, faster, and more affordable than ever to get your real estate investments funded. What exactly does this site do? We take the stress out of buying and refinancing investment properties by allowing consumers to get multiple offers from several hard and private money, asset-based lenders in a matter of minutes. We make the funding process so easy, why would you need to look elsewhere? It's free and only takes about 37 seconds to request the funding you need. Your request for funding will be sent to our lending partners who are ready, willing and able to lend on your property. We have the most; diverse, active, and professional pool of lenders on the planet, so if you can't get funding here, it's very likely you can't get funding anywhere. Before we existed, when you needed funding for a real estate investment you only really had one option… Hope. 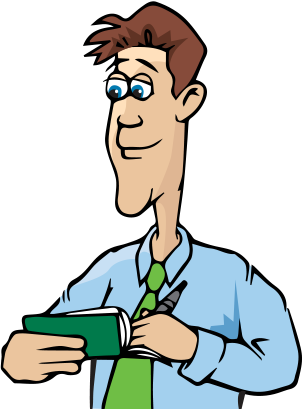 You had to present your deal to the one or two lenders you could find and hope they would come through. This is not only stressful but very time consuming. Many real estate investors spend more time looking for money than looking for deals. Not anymore. With us you can secure the funding you need with the click of a few buttons. Lenders have raised billions to deploy into the market and need borrowers like you to lend to. It is simple supply and demand. Money is now looking for you! This means you have more options, can get better rates and terms, and ultimately keep more of the money you make. We've consolidated the nations best hardmoney + private real estate investment lenders into a funding database under one virtual roof. To gain access to this elite network and a virtually unlimited amount of funding for residential and commercial lending, all you have to do is request the type of funding you’re looking for. The best part is, this tool is 100% free! Your request for funding is sent to a network of qualified lenders. 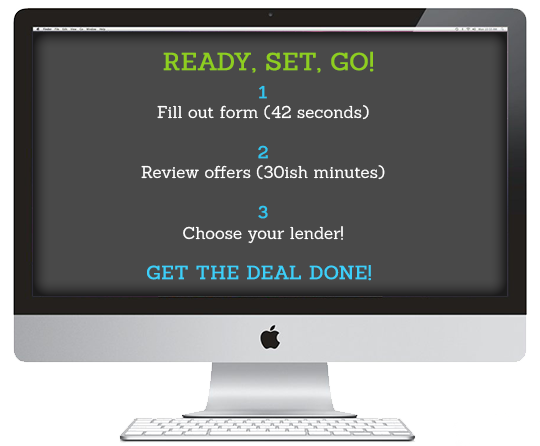 Our software analyzes their bids and matches you with the lenders who are willing to meet your unique needs at the lowest rate! For the first time in history, the real estate investment lending industry has been consolidated and is now fully available to you with the click of a few buttons! 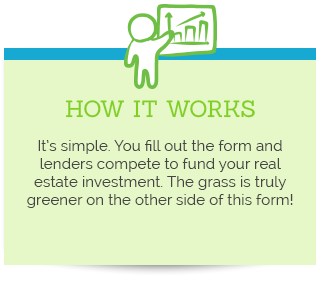 Our network of lenders provides funding based on the numbers in the deal -- not your credit. Good credit does not hurt, but is not required. Since loans are based on the property, personal info such as bank statements, tax returns, social security number are not required to get matched with the right lender(s)! All of your funding problems are solved here! You can finally get funding for your real estate investments without all the brain damage. Find the cash you need to purchase any type of real estate investment in a simple streamlined process. It’s one-stop shopping for the cash to fund all your deals. Save Time, Money & Brain Damage By Having Us Connect You With The Right Lenders. Click Below. A division of Connected Investors Inc. Connected Investors does not offer personal or investment loans. 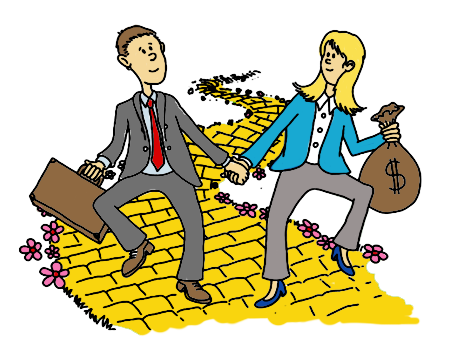 Connected Investors is not involved in negotiating loan terms nor do we make investment recommendations, and any information found herein should not be construed as such. Any loan information contained herein has been secured from sources that Connected Investors believes are reliable, but we make no representations as to the accuracy of such information and accept no liability therefore. All loans are subject to lender approval. Loan rates may vary and Connected Investors does not guarantee that you will be offered a loan nor do we guarantee loan rates or loan terms. We recommend that you consult an attorney, accountant or financial advisor that can help you assess the risks associated with any loan offered.